Like so many people across the globe, I tuned into Barbara Walter’s special last Thursday evening to see who would make her list of “The 10 Most Fascinating People” and like so many peeps I was pretty disappointed. I can see Mark Zuckerberg and Betty White and was pleased to see LeBron James on her list as well, but Jennifer Lopez and The Jersey Shore cast? Nuh-uh. And I don’t have to like something to find it fascinating so that’s not it. The Situation and dem are simple and stereotypical and what’s so fascinating about being an Idol judge? So instead of wasting breath ranting over Bab’s lame list, why not create our own? Ladies and gents here is theHotness List of The 10 Most Fascinating People. Check it out and please tell me who else should make theHotness List. 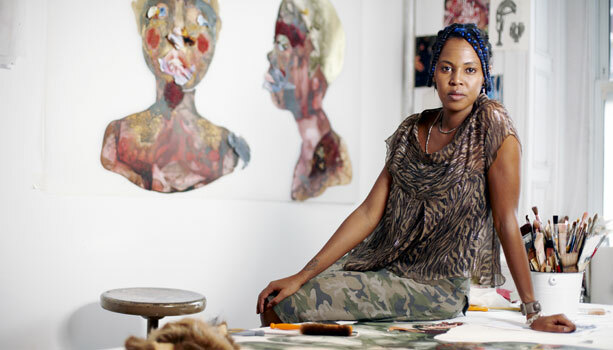 Wangechi Mutu: This Kenyan-born artist and new mother had the artworld on smash in 2010. In February Wangechi was honored by Deutsche Bank as their first Artist of the Year. The prize included a solo exhibition at the Deutsche Guggenheim in Berlin entitled “My Dirty Little Heaven.” The show traveled in June to Wiels Center for Contemporary Art in Brussels, Belgium. With exhibitions in London, Los Angeles, and NYC Mutu’s chaotic collage and provocative painting and pasting had heads shook! Her work, which explores the contradictions of female and cultural identity and makes reference to colonial history, contemporary African politics and the international fashion industry, is no joke. dream hampton: The writer, author & filmmaker has been extremely busy this year. 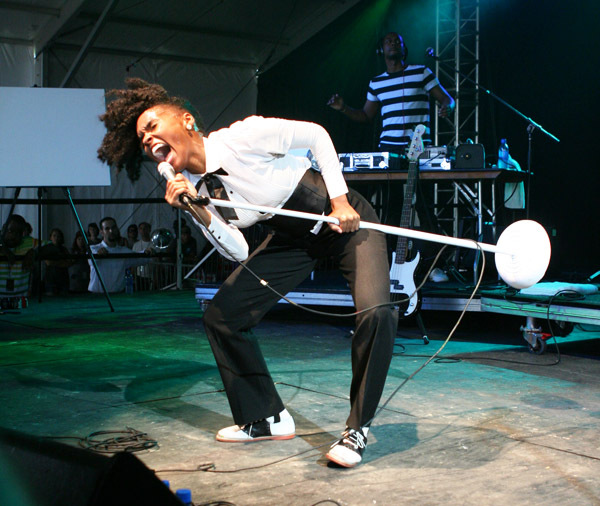 Her documentary about “Black August: A Hip-Hop Documentary Concert” premiered in August to a sold-out screening at Lincoln Center and to crazy critical acclaim. Using concert footage and exclusive interviews with exiled activist Assata Shakur, former Black Panther Kathleen Cleaver, political prisoner Mutulu Shakur, dream directed & presents a film that intimately documents the movement behind the annual event that the nonprofit Malcolm X Grassroots Movement has produced, for more than a decade, to raise awareness about and support for political prisoners in the U.S. And just in case y’all were wondering, a major reason why “Decoded” is so damn good and is a NY Times Bestseller is cuz dream used her skills as a journalist and her insight as one of Shawn Carter’s dearest friends to filter his lyrical life story into a visual and literary cornucopia of hip-hop hotness. Battling the big C in 2010, the Detroit native has shown and proved she’s a real warrior who literally flies, rules Twitter with her uber smartness and who still has time to juice her veggies and make dinner for her daughter. Sade: In 2010 we were blessed with the return of Helen Folasade Adu, professionally known to us as simply Sade. “Soldier Of Love” debuted and we all exhaled because there’s something about that soft, sultry husk of a voice that lulls, soothes and liberates… even if only from the confines of pop madness and R&B shenanigans. Sade who turned 51 this year and looks better than ever was also declared the most successful solo female artist in British history in the UK times this summer. She just garnered two Grammy nominations and is preparing for a world tour in 2011, which is already selling-out in some cities almost an entire year before show time! Ila’s mother is one of only a handful of singers that can stay away a year and return just as relevant and as popular as the best of music’s regulars. Favianna Rodriguez: Hailing from Oakland, CA, Favianna is an artist-activist and Co-founder of Presente.org. A printmaker who got her start as a political poster designer in the 90’s, spent 2010 in Mexico City as part of a US delegation fighting for the rights of migrants, in Maui discussing the history of paper and the power of political posters, in Harlem presenting creative ways to fight anti-immigrant hate. Of course Favianna created iconic, provocative posters at every destination. 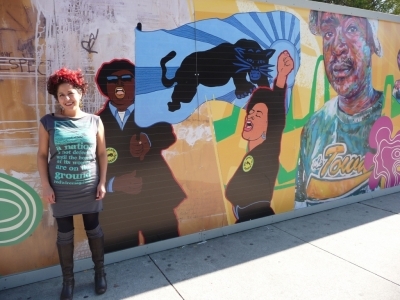 The Taller Tupac Amaru collective, which she co-founded in ’03 was awarded 2010’s Best Political Art Collective by East Bay Express. She is a cultural worker on the rise who has painted and presented all across the globe. Oprah Winfrey: Really do I need to go into detail about why she’s so fascinating? All I need to write is “25 Years.” Surely being TV’s top host for a quarter of a century is a feet in and of itself, but for a Black woman who does not fit America’s standard of beauty, this is extraordinary. Her ratings are higher than ever this year and her mag is one of only a handful with increased ad revenue. And besides who else has opened a school recently, was honored by President Obama and has the illest Favorite Things Show this side of Pluto? She is startling in her fascination appeal. Can’t wait to see what she does with the OWN next year! 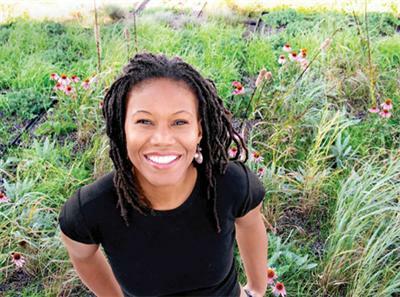 Majora Carter: A Bronx girl with heart, Majora is an activist who has been making Mother Nature proud for over a decade as she fights for environmental justice in her native South Bronx community. She’s the president of The Majora Carter Group, LLC– a private, for-profit “green” economic consulting firm. In the June 2010 issue of Fast Company magazine, Majora was listed as one of the 100 Most Creative People in Business. The 2006 MacArthur “Genius” Fellow was awarded the 2010 Award from IIDA and began working on her memoir this year. Beyonce: Say what you want about my grrrl Bey, but there’s no denying she has got it going on. In February, the Recording Industry Association of America listed her as the top certified artist of the decade. Her feature on Lady Gaga’s “Telephone” this year became her sixth number one and resulted in both Gaga and Bey tying Mariah Carey’s record for most No. 1’s. This year she launched her first fragrance “Heat” and this past November she released her DVD “I Am… World Tour,” which she co-incidentally produced, directed and edited. Two million units were sold in one week. Beyonce is not only Sascha Fierce she is undeniably fierce! Lisa Ling: I’ve always loved Lisa’s courage. When she was sittin’ high on the hog as one of the original ladies of The View, she felt like she needed to do more with her life than discuss hot topics and talk fashion. She left The View and traveled all over the world with National Geographic and then later as a correspondent for Oprah giving us an intimate view on child trafficking in Ghana, the drug war in Colombia and bride burning in India to name a few of her insightful pieces. Her fight to obtain freedom for her imprisoned sister was nothing short of empowering and their book “Somewhere Inside: One Sister’s Captivity in North Korea and the Other’s Fight to Bring Her Home” is proof positive that there is no love like a sister’s love. Her newly launched website Secret Society Of Women, came about as a result of suffering a miscarriage earlier this year and feeling alone in her loss, offers women an anonymous place to post their thoughts, hopes and fears. Janelle Monae: Her album, The ArchAndroid, dropped this past summer like a meteor from outer space leaving a crater that was funky, spirited, edgy, unique, mysterious and smoldering soul. I’ve written about my favorite singing android several times and each time I’ve discovered something new about the Kansas City native. Her songs, like her performances, like her style are original artifacts that mix Egypt with Venus and James Brown with Erykah Badu. She never ceases to amaze. Michelle Obama: Bab’s had General David Petraeus as her MOST fascinating person?! For me that honor goes to First Lady Michelle Obama. The media tends to focus on her style and her “toned” arms, but lest we forget FLOTUS is a lawyer, mother and activist. She is creating a legacy of healthy eating in America when she planted the first White House vegetable garden since Eleanor Roosevelt served as First Lady. Her Let’s Move! campaign to battle America’s epidemic of childhood obesity is definitely doing big things! Just today her hubby signed into law her child nutrition bill. The Healthy, Hunger-Free Kids Act will expand the number of children in school lunch programs, increase the reimbursement rate to school districts for meals by six cents and replace the junk food available outside the cafeteria, such as in vending machines, with more healthful options. She’s the First Lady and the first & foremost fascinating person on my list! I agree with the Hotness list 100%. I didn’t get a few of Barbra Walters choices either! The Jersey Shore, J-Lo , Kate Middleton and the cherry on the cake… General Petraeus?! I love the inclusion of dream hampton, who is fascinating on more levels than we know. As a behind-the-scenes person, not enough gets written about her, and I’m hopeful that will change soon. I do find it unsettling that she’s the voice – sometimes literally – behind some of the largest anti-women figures of our culture, and can barely contain her glee when associated with them. Her memoir will be a great read, as I’m sure she can’t wait to deliver her side of the “dream hampton is/was a starstruck groupie” whispers from those who work(ed) with her. I’m personally interested in her writing about the cancer she claims to be battling, as no cancer patient I’ve ever seen is as “robust” and socially available as she is. Some said she only announced it to avoid being (rightfully) attacked for claiming Aretha’s illness was from being fat, knowing full well that saying she’ll “write about it when she’s ready” would create the outpouring of attention and support she’s addicted to. She’s wickedly smart, that’s for sure. Dang Yavonnie I was ridin with you and then here you come with the haterism. Why, why why? Can’t we all just get along? And about QTip & Jay-Z, what about them is so anti-women? Is it Tip’s “Bonita Applebaum” or Hov’s marriage to Beyonce? I’m confused. Anyway thanks for your comment nonetheless. DREAM HAMPTON HAS BEEN FASCINATING FOR A LONG TIME. SHE IS A MUSTTO FOR THE TOP 10. THE REST OF THE LIST IS ESTIMABLE AND WORTHY ALSO., ESPECIALLY WANGECHI MUTU. WORK. TO WIT: BURNT SUGAR AND” SWEETBACK…”; BURNT SUGAR AND “THE JAMES BROWN SONGBOOK”; USO ARTIST(WRITER) AWARD CITING HIS GROUNDBREAKING “FLYBOY IN THE BUTTERMILK”. A GREAT LISTOF SUPERSUPER PEOPLE. @Yavonnie I wish I would use a memoir to address friggin rumours. Please. And I said Aretha’s was obese because of unhealed suffering, not that she had cancer cuz she was obese. You can have the rest. @Lucille: theHotness.com is all about celebrating urban grrrls or else I would have included Greg Tate and a host of other brothers that I feel kicked it hard in 2010. LOVE this list! and, thanx for the save the date details. will be there with bells on. And fine expositional writing by The Hotness Grrll as to why they matter. Sadly no Nikki Minaj–the negress you love to hate. If The President of iran can be Time magazine’s Person of The Year why can’t Sista Minaj occupy a Most UnWanted position here? Yes, we still have jokes. I didn’t see the special, but your list was fantastic; thanks for sharing. Dream is a fascinated sister! Its also worth mentioning that the Black August premiered was presented by ImageNation as part of its ongoing series there and all the series programs, for the past 6 years have been standing room only. Moikgantsi Kgama, a woman and, the organization’s founder works really hard to present the series and I just wanted to give her a shout out. From what I understand, she agreed to show the film sight unseen (which she never does) b/c she believed in the cause. Her non-profit presented a great event (with live performances, a reception with food and wine; and covered the costs) with some help from Whole Foods. Moikgantsi was 8 months pregnant when she produced the sold out show. So, big ups to http://www.imagenation.us and Dream Hampton! @yavonnie. that was especially venomous. #donthide. Nicole, excellent list and excellent idea!! Love the energy you are putting into TheHotness! As my 14 year old stepson would say: LET’S GO!! @Greg: Yep yep! If I had written about 11 fascinating grrrls Nicki Minaj would surely be there. I don’t think she’s a skillful rapper, but I think she’s fascinating. Anyone who can garner 20 comments on a single post may be hated but also has that something that gets us all riled up in the first place. @A Supporter: Kangsti definitely deserves a spot on this list. I love what she and Greg are doing with Imagenation. I’ll have to remember her for our 2011 list! Thanks for the love y’all!!! Looks like this will be an annual post! wonderful list, sis. thanks for spreading the word on amazing sistren. How about Nicole Moore, writer and *photographer*, I think it’s pretty fascinating to be a renaissance woman! @a supporter BETTER be Greg! lol And yes, all praise to Moikangsti, the first and best of a half dozen screenings of MXGM’s Black August Hip Hop Project. The political prisoners are more grateful than you could know! what a great list! love all those that were honored this year and look fwd for the 2nd annual list of fascinating people. hopefully we’ll see some playwrights on the list next year since the sista’s are writing some of the most unique stories that are being produced today. but wtf do i know, i hate theater too. AWEsome List! AWEsome You, Madame Hotness! keep bringing it, keep shining. we love it! …ugly comments reveal a sad heart. soar higher. Inspiring list! Thanks for giving us such a wonderful description of these amazing women. I didn’t know dream hampton was so prolific. Can’t wait to see her doc. Nicole, theHotness editrix: herself a most fascinating sister of 2011! Thanks for the luv. I think this list is the beginning of a new page for theHotness. Look out for the new Hot Grrrl feature in 2011! Peace. i enjoyed this so much. glad i now know where to feed my hunger for info on awe inspiring women. thank you. There’s a sister named Kadejah One (oni) who is currently touring with The Color Purple who everyone needs to be on the look-out for. You’ve never heard a voice like hers, and she’s a beautiful person (and member of Zeta Phi Beta). She’s overcome tremendous personal tragedy (she’s from New Orleans, brother was killed, baby son died…) She’s on YouTube with her band, and she’s a motherlovin’ monster. You’ll thank me later. @ Greg Tate re Nikki: Yep. Right on. @ K. Mayo and @ Crystal Whaley: Word. Soar higher. @ dream: Well said re awesome daughter. And keep doing the work.